Luke Cage has always been a popular character in the comics, but after his successful Netflix show, Marvel wants to give fans new and old an updated entry point. That’s why Cage is getting a new, ongoing series starting in May. 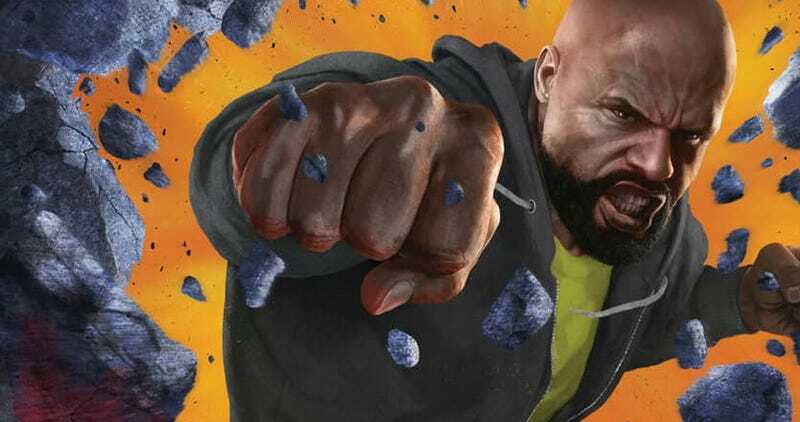 According to Comic Book Resources, the new Luke Cage book will be written by David Walker (bringing an end to his Power Man & Iron Fist run) and drawn by Nelson Blake II. I’m writing him as a little more mature, and I’m not going to say that the television show was a huge influence on me, but it did show me a lot of ideas and ways Luke could be handled; a lot of them were in conjunction with ideas I had been developing in the first place or had been thinking about. I really want to give the readers the best Luke possible, and I think that’s a Luke who does more than just fight all the time. We’ve been talking a little bit about “Defenders.” So I do know what’s going on in the first story arc of that book. I’m definitely very excited for that. Moving forward there will definitely be more wrangling of, “Where’s Luke at this point? And how does he break away to do this?” But how many titles do characters like Spider-Man, Iron Man, or Captain America show up in? And I’m happy that for the first time in a long while Luke is getting a lot of love and attention that it seems like he hadn’t been getting for many, many years. Here’s the cover of issue #1, which will start an arc featuring Cage investigating a very personal death in New Orleans. The blessing and curse of the Netflix shows are that, yes, they bring in new readers interesting in the comics. But walking into your local comic shop and just trying to figure out where to start can be damned intimidating, especially when a series is mid-run. Hence these new series’ based on the characters. It’s much easier to go in, buy a #1 and feel comfortable. For longtime fans, that is probably a bit of a bummer, especially if they were invested in a previous run. But it’s a small price to pay to get some new blood on the creative team and see your favorite characters in live-action. For more from Walker on his approach to Luke Cage, head to the link below.